To access private contant, please provide the password. We need to rekindle the feeling of community in Emery and we have a shining example of a first class way to do it. The evening is free for all to attend. 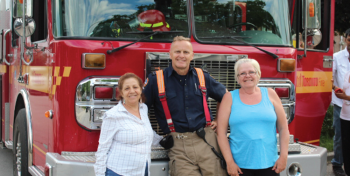 Young and old alike are invited to enjoy a potluck dinner and BBQ. Desserts were plenty and in all forms from cakes to cookies to donuts. Thanks went out once again to Ralph Shepperd and his team from the local Tim Hortons at Rivalda and Sheppard Avenue for their generous donation. Ward 7 Councillor Giorgio Mammoliti and his staff supplied a very tasty 19th anniversary cake that was enjoyed by all. 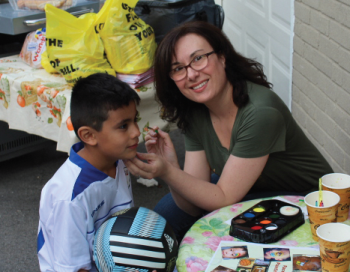 Al Ruggero and Luana Papolis from the Emery Village BIA were on hand to help out with the BBQ and face painting duties. And the folks from the local fire and rescue squad cannot be forgotten, they have always been in attendance with smiles and equipment displays. Jackson said that she hopes to see everyone again next year, on what will be the 20th anniversary. 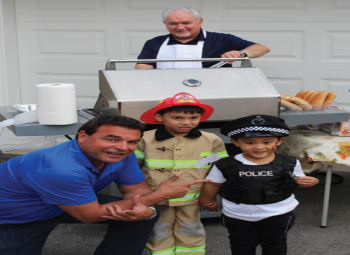 If you would like to plan a neighbourhood BBQ next summer in Emery, please reach out to me at sean@emeryvillagevoice.ca and I would be pleased to help you host the BBQ. Copyright © 2019 Emery Village Voice Ltd.